In a process that spanned a decade Clevenger Associates was engaged by Manask Associates early on for a market study recommending the type and character of food facilities to optimally satisfy museum visitors dining and catering needs. Our role was to translate those recommendations into space programs/budgets. The firm’s second engagement was translation of that program into schematic design as by part of Ralph Vinoly Architects museum expansion design and master plan. Our last engagement developed final documents of food facilities including a self-service café, adjoining restaurant and extensive catering facilities with architects Bergmeyer Associates of Boston. 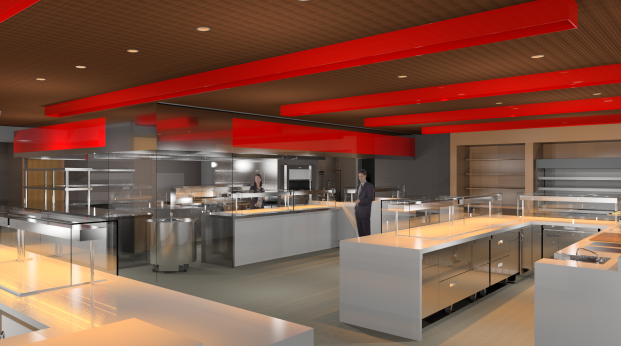 Clevenger Associates had Primary design responsibility for 5,400 sf kitchen, servery and support space.